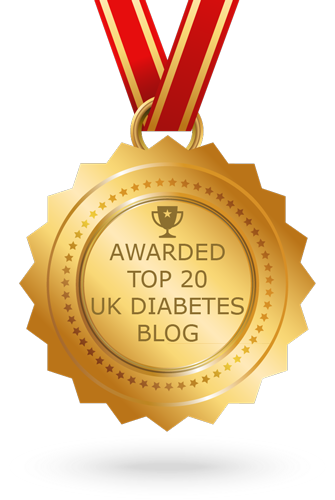 As 2010 draws to a close I find myself looking back over the last 12 months and in particular the changes to my experience of diabetes. Emotionally sensitive readers, or those who find gushing saccharine-sweet outpourings a little cloying may want to look away now. As the year began I was just doing what I always did to keep my diabetes under control. It worked, more or less, most of the time. There were a few too many highs, a few too many lows, the constant contradictory feeling that things could be better and that things were as good as could be expected while retaining any semblance of a normal life. 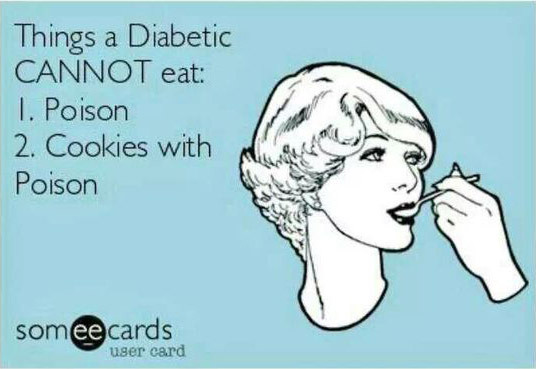 I think this feeling plagues many who live with diabetes. The suspicion that if you had more self control or were willing to give up treats/flexibility/various major food groups and could commit to live an identical gram-perfect life every day your control would finally be sorted. Except that you can't. And let's face it even if you did you'd be pretty miserable, or at the very least pretty difficult to be around. So I pottered along happily enough, thinking that things were OK. In a way I suppose they were. Then in February I had my unfortunate event (apologies to Kermode and Mayo's Wittertaining podcast) which, without boring you with details involved at various points: a massive hypo, loss of speech function, a suspected stroke and a trip to A&E. Suddenly the goalposts shifted and control which was 'good enough' was no longer good enough. At about that time we began looking around online for people writing about their life with diabetes. There were a few European blogs, seemed to be almost nothing in the UK and quite a large number in the US. So we decided to begin our own blog - somewhere to share our experiences, rant, weep and post questions. Mostly writing for ourselves, but with some small hope that our shared experiences might offer support to others living with or affected by diabetes. Life, like drawing is often a case of 'the more you look, the more you see'. 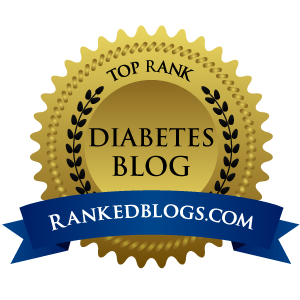 Almost as soon as we had started writing about our own experiences we began to get feedback, comments and contact from a huge network of online PWD (people with diabetes). We began to have contact with well-established blogs, busy forums and frantic tweeterers from all over the globe. Before long I came across the term DOC (the Diabetic Online Community), or to give it it's official US-style title the Awesome DOC. Steady now. Here's where it's going to get mushy. You guys are amazing. Absolutely, completely and staggeringly amazing. Helpful, supportive, full of empathy, encouragment and very, very funny. Wise without being pushy. Full of advice but empty of 'rules and regulations'. I learned more tips, tricks, approaches and strategies in 6 months' contact with this online community than I have in maybe 15 years of appointments with Consultants, Registrars, Diabetes Specialist Nurses and Dieticians. 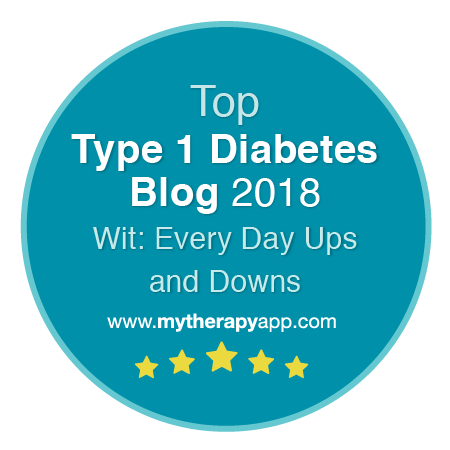 I have been supported by people living with all different types of diabetes and have finally began to understand a little about life with type 2. Crucially all information is always suggested from the basis that everyone is different, there is no one-size-fits-all approach which will work. No overtones of judgement. A recognition that everyone will manage in their own way, with their own targets. Their own truimphs, failures and weaknesses. That we are all struggling against this common enemy on our own unique body-shaped battleground. I still have ups and downs, hypos and hypers, but these seem fewer and further between. Thanks to the advice and support I have been given from people I have never met (nor in many cases am I ever likely to) I can honestly say that I have never felt so in control of my diabetes in all the years since diagnosis. I am not due to have an HbA1c until around April but my monthly averages for the last five months hover around 6.9mmol/l which, if the conversion formula is to be believed, equates to an HbA1c of around 5.9%. That's a full 1% drop since my last one. So thank you all. Here's to a happy, healthy and spectacularly well controlled 2011 for everyone. When I look back in a few months time I suspect I will think to myself that this was just a bit of bad timing. That of course this was going to be a struggle at this time of year with the variety of 'unusual' seasonal meals adding a lot of confusion to the early days. My first few days with the Accu-Chek Expert have not been easy. So much so that I was tempted to give the whole thing up on day 3. But the funny thing is I can feel myself wanting it to work so much. To be able to abdicate this responsibility of constantly holding all those threads in my mind. What has been injected, how long ago, what has been eaten, likely absorption curve. Level of activity, current BG level, factors which pull this way and that when trying to calculate the correct insulin dose for a meal. Wanting just enough insulin to pull sugars back from being a little high, without going too far and ending up dipping into a hypo. The relentless daily balancing act. And this is just what the Expert promises to help with. But of course it's only as good as the information it has got to go on, and at the start, unsurprisingly, this has not been quite right. To begin with, perhaps to err on the side of caution, it was suggested by the DSN to try a ratio of 1u:15g (one unit of insulin to 15g of carbs). This was based on a quick '500 rule' calculation based on my total daily dose. I suppose I wasn't expecting it to work, having worked hard for a year to tighten things up if I'd been out by 50% I suppose I would have noticed. Nevertheless I gave it a go. The following day I dropped it back a little during most of the Expert's time blocks (you can set different ratios at different times of the day). But it was still disastrous, perhaps due in part to inaccuracies in some of the other settings (expected insulin duration, expected amount of BG change per unit etc). One of the things which surprised me is how vulnerable I was to doubting my own experience. Seeing a bolus dose suggested and thinking, "That doesn't sound right...", but then worrying that the figure I had in mind might not have been right either. Kicking myself when I soared high or crashed low thinking, "Bah! I knew that was going to happen." when in fact I could have stuck to my guns and overridden the suggestion each time. So from a daily BG average of 5.4 (97) and 5.9 (106) which are arguably slightly on the low side in the 2 days before the Expert, I had an average of 10 (180) ouch! Then 8.2 (148), 8.7 (156), 7.2 (130) and 7.1 (128). To make sense of those numbers... if I stayed completely in the recommended range and tested before and after each meal I would get an average of 6.5 (117). Like many diabetes things, this will take care, attention and more than a little experimentation to get right. My hope though is that I might have Colin (E decided he needed a name) as a little digital assistant every time I eat, to offer a half-decent suggestion of a bolus for whatever carbs are on my plate. I have a meeting with a DSN tomorrow (Diabetes Specialist Nurse). A few months back they offered me a trial of the Accu-Chek Expert handset, and while that didn't quite work out, they do now have a few from the manufacturer that they are able to let people have. From what I've been told the Expert is essentially the same as the 'brain' of the Roche insulin pumps. More than just a BG meter it allows you to input your carbs, level of activity and insulin ratios and will offer a suggested insulin dose based on the information you provide, plus an allowance for level of activity, stress etc. It all sounds very promising and I'll be interested to see how fiddly it is to use in practice. For the last 5 months or so I've been logging all of this information in the excellent DiabetesDiary for iPod/iPhone. It has really helped me spot patterns and thanks to its incredibly easy data entry and some nifty data views (monthly and 7 day graphs, monthly average and 7 day average graphs, min max and mean for any time of day flag etc) the Expert handset now has quite a lot to live up to in terms of usabillity and ease of use. I'll let you know how I'm getting on when I've had a few days to play with it.